Formed by the Irie brothers, Ryosuke Irie (Vo/G) and Takeshi Irie (G), in 4/2005, Veni Vidi Vicious participated in the “ROOKIE A GO-GO” stage at “FUJI ROCK FESTIVAL ’06” and soon made a significant presence in the live house scene. They released a split single “NEWROCK E.P” with The Mirraz in 12/2007 and their 1st album “IRIE RACKIT” in 10/2008. After the release of a mini album “I Like Beethoven. Especially His Lyrics” in 6/2009, they suddenly went on hiatus from 1/2010. 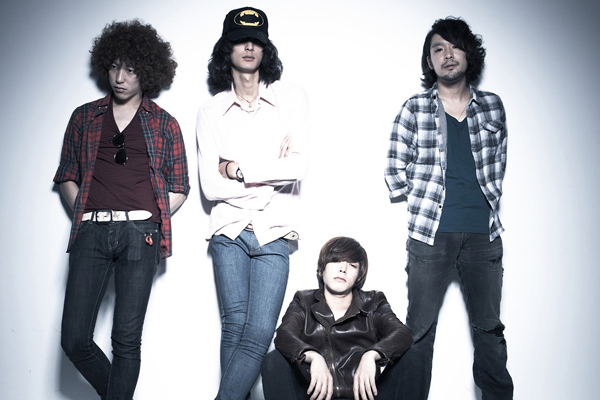 In 4/2010, they announced that the band will be back in the scene with just the members of Ryosuke Irie and Takeshi Irie. They released their 2nd album “9 Stories” in 4/2011 and 3rd album “Good Days” in 10/2011. They have now welcomed Yusuke Matsuda (B) and Hiro Ohya (Dr) as support members.